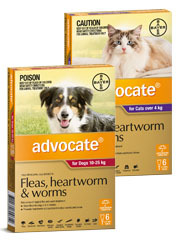 Fleas and ticks are external parasites which can infest dogs and cats. 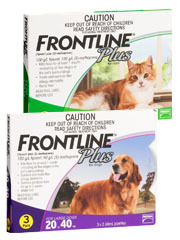 Fleas can be highly irritating for an infested animal, and both fleas and ticks can carry parasite-borne disease which can then infect your pet. 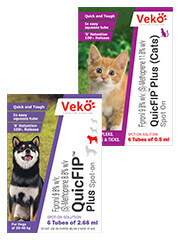 Heavy flea burdens can also cause anaemia in young kittens and puppies. 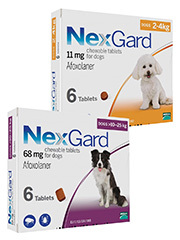 Providing effective flea and tick control is therefore an integral component of ensuring maximal health care for your dog or cat. 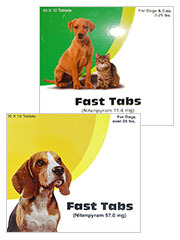 The juvenile stages of fleas live in the environment, with adult fleas attaching to pets once fully developed. These adults then lay eggs which drop off the animal and into the environment, thus keeping the flea life-cycle going. 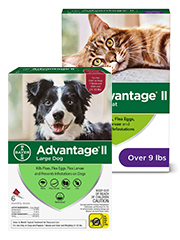 Flea infestation can be mild to severe, but regardless can be highly irritating for the animal so flea and tick control is very important. The irritation can result in scratching, rubbing against solid objects and self biting, resulting in skin damage and skin infection. 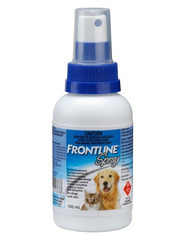 Some animals will have a hypersensitivity to flea saliva, thus resulting in a flea allergy dermatitis, which causes severe irritation and self damaging behaviours by the animal. 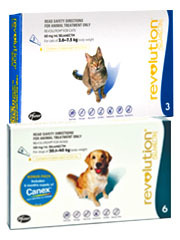 Flea and tick control is vital for all animals. 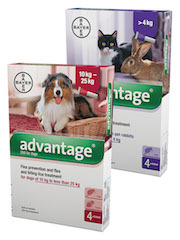 Vigilant environmental control in conjunction with flea and tick control products used on the animal generally provides an effective means of flea and tick control. 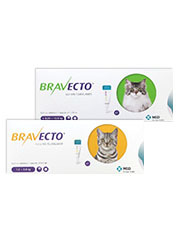 Flea and tick control products are many and varied, both in terms of the manner in which they are administered and in the degree of effectiveness of the product. 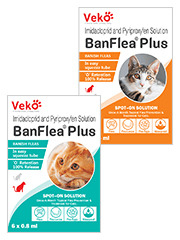 Some flea control products will interfere with the reproductive cycle of the flea, others will kill the adult flea, whilst still others will kill not just the adult flea but effect the development of juvenile stages in the immediate environment. 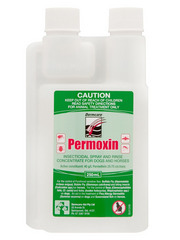 The length of the residual effect of the product is an important consideration for owners trying to treat or prevent infestation of their animals. 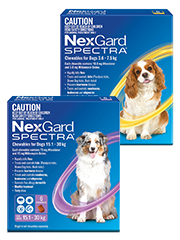 Flea control products administered to pets come as tablets, oral pastes, monthly spot-ons, injections, powders, flea collars, sprays and shampoos. 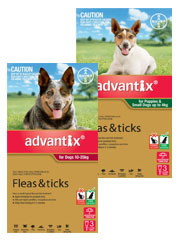 Various species of ticks attach to dogs and cats. 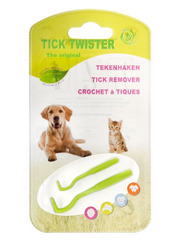 The tick of most concern for pets is the paralysis tick. 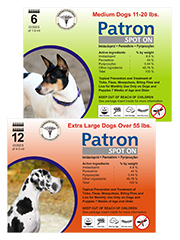 The paralysis tick attaches to an animal and during its blood feed injects a neurotoxin into the animal. 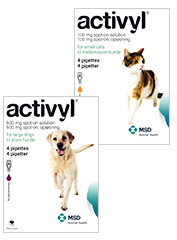 If the paralysis tick is not killed and removed rapidly, the animal experiences an ascending paralysis which can lead to death if not treated rapidly and aggressively. 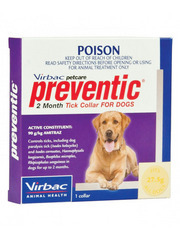 Tick control involves not only administration of medications or products on or to the animal prior to exposure to likely tick habitats, but also daily full-body tick searches of any pet in a tick area for the full extent of the tick season. 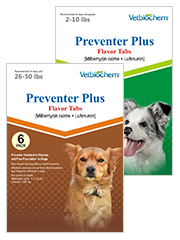 Flea and tick control products cannot be relied on alone to prevent tick paralysis from occurring. 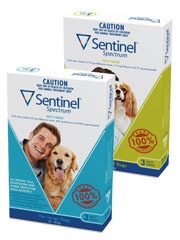 Tick control products come as tablets, collars, spot-ons and sprays. It is essential to read the manufacturer's instructions carefully and dose as recommended. 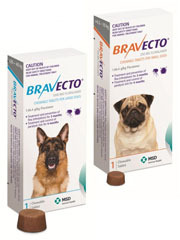 The dosage interval may vary depending on what type of tick you are trying to prevent, eg brown tick vs paralysis tick. 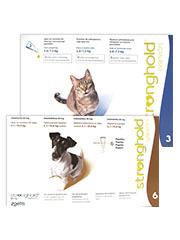 If there is any risk of your pet coming into contact with paralysis ticks, vigilance and a strict flea and tick control regime is recommended. 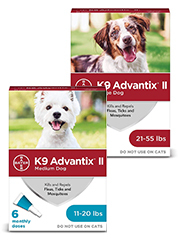 Some products will provide both flea and tick control, thus reducing the number of products required, but owners should note that often the dosage interval is different if attempting to provide tick control compared to just flea control. 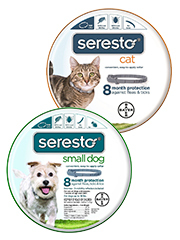 Regular flea and tick control is one of the most important ways you can love and care for your pet.